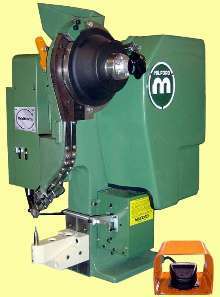 To keep surplus riveting machines in production mix, Factory Rebuilt Machine (FRM) program refurbishes and reworks selected riveting machines. FRM program includes reconditioning of pneumatic, bench-top, pedestal, and fixed center riveters; 6 month warranty on all non-perishable components and tooling; and support, technical expertise, and application development. 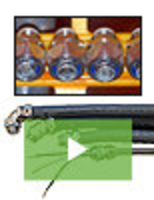 Impact Riveter handles long production runs. Built with hardened steel components and designed for repetition and long production runs, Model 64 handles rivets up to 5/32 in. dia x Ã‚-¾ in. long. Automatic feed mechanical-drive riveter has 1/3 sec cycle time while delivering 2-ton force. Offered in bench or pedestal models, it features full power train guarding, noise shielding, and optional ON/OFF palm buttons and ring guard. 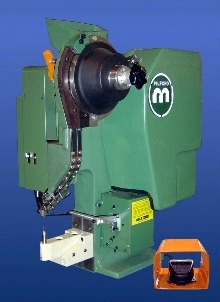 Riveting Machine features vibratory bowl feeder. Hydraulic Orbital Riveter provides 19 tons of pressure. 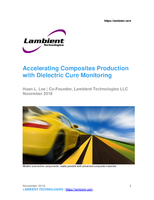 This white paper provides an in-depth explanation of how dielectric monitoring works, and why it's the best choice for any company working with advanced composite materials. Power Riveter features ergonomic design. 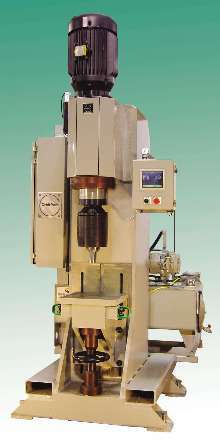 Riveting Machine delivers over one ton of force. 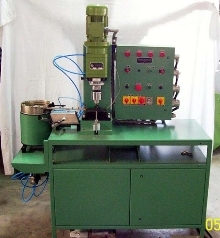 Automatic Blind Riveter has portable, hand-held design. 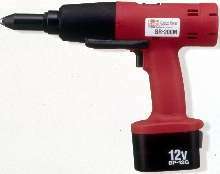 Cordless Electric Riveter is powered by 12 V Ni/Cd battery. 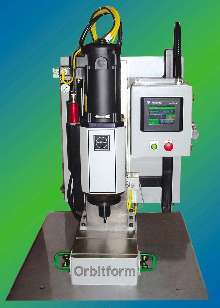 Riveting System pierces and fastens in one operation. Anamet Electrical's 316 Stainless steel SEALTITE® fittings and UL-listed cord grips protect sensitive wiring components from fluids, corrosive contaminations, bumps, and abrasions with a steel core and liquid tight conduit jacket. Check out this video to learn more. 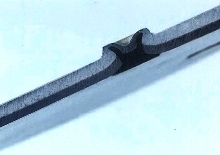 Steel Pull-Thru Rivets can surface flush on both sides. 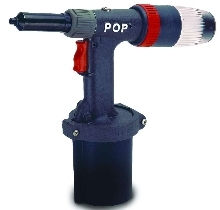 Manual Impact Riveter provides 2 tons of rivet setting force. Impact Riveter promotes control and adaptability. Rivet Monitoring System removes risks of blind riveting. There&apos;s More to Plating than You Zinc! Copyright© 2019 Thomas Publishing Company. All Rights Reserved. See Terms and Conditions, Privacy Statement and California Do Not Track Notice. Website Last Modified April 18, 2019.